It's Mandi here with a card I made with this month's new Uniquely Unity kit. 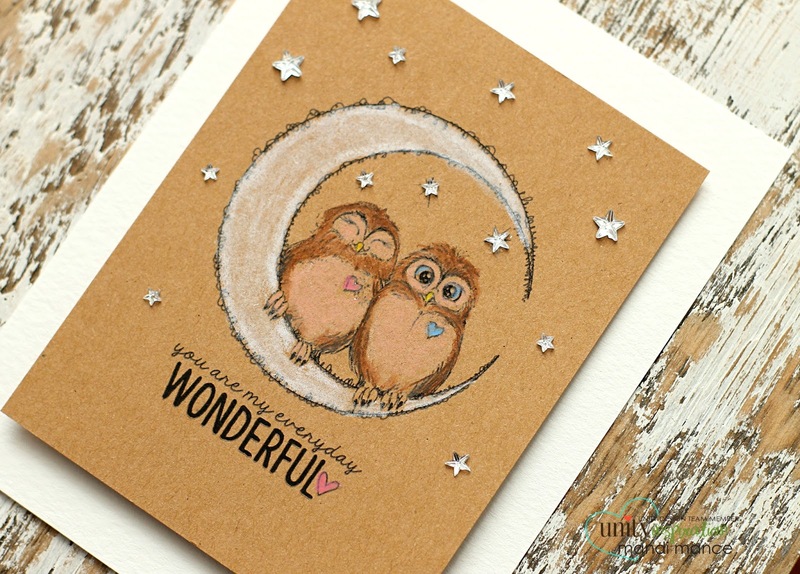 How cute are these owls??? I made a Kraft card and used my Prismacolor Pencils. Then added some rhinestone stars just to add some detail. Here is the actual stamp look at all of the lovely details. 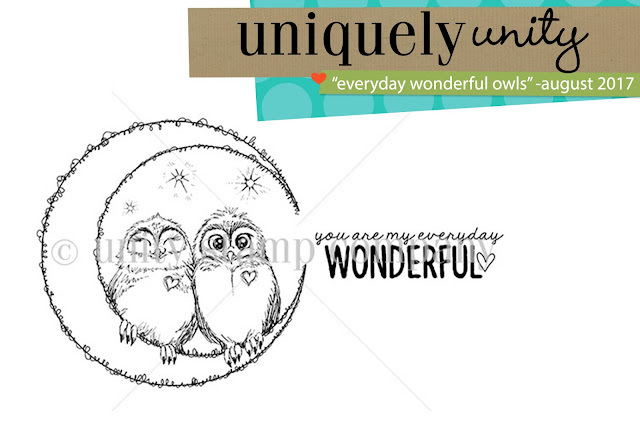 I especially love those wee hearts on each owl. right here for all of the details.